The bad news is, New Jersey ranks within the top ten states with the highest total annual and lifetime smoking costs in the United States. 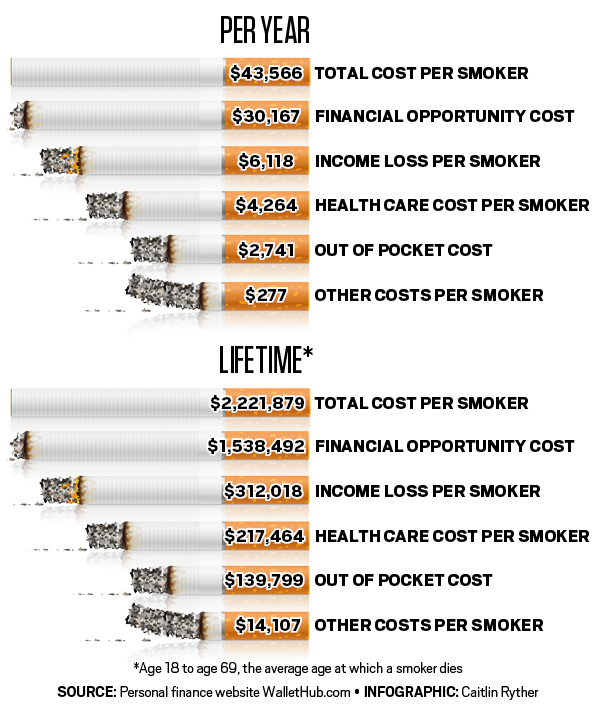 Although there are more expensive states, smokers still burn away over two million dollars over their lifetimes. So, the next time you see someone stepping outside for a smoke break, picture them burning cash instead of tobacco.